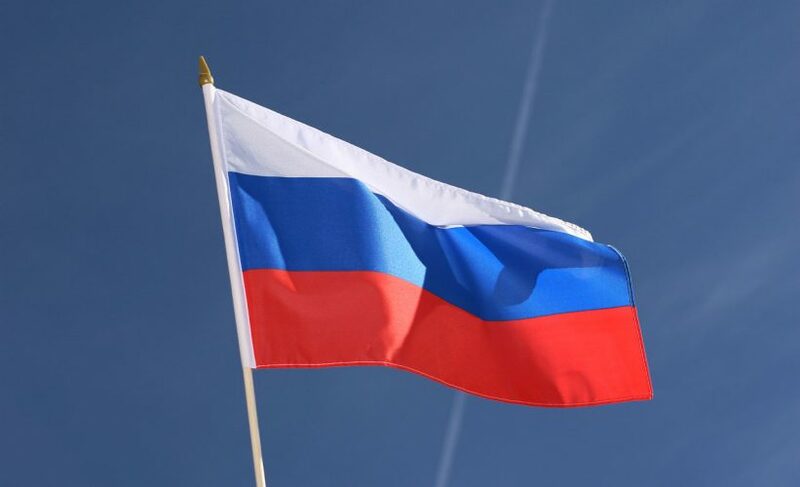 If you reside or travel to Russia, you should consider using one of the best VPNs for Russia to circumvent the ever-increasing internet censorship in the country. Russia competes with China for the notoriety when it comes to censorship. While China uses its massive and sophisticated internet apparatus (Great Firewall of China), Russia hastened its censorship strategy on November, 1st, 2017 by passing a law that bans VPNs and anonymizers that allow people to browse the internet anonymously. Hence, you need one of the following 5 best VPNs for Russia in 2019 to secure your online privacy. What does the Russian VPN ban mean? While the Russian ban doesn’t directly bar you from using a VPN, It requires you to use a VPN within the “legal framework”. However, we know that the meaning of “legal framework” in Russia is quite different from the meaning of the same phrase in say Europe. In short, you are only allowed to access the websites that Roskomnadzor (Russian Media watchdog) approves. Don’t worry, I’ll share with you the best Russian VPNs that still work to secure your privacy in Russia. CyberGhost is continuously dethroning some of the world’s best VPN services in many VPN categories. With the following features, what else would you expect? The only VPN service in the industry that allows you up to 7, I repeat 7 simultaneous connections using a single account. According to various surveys, a modern household has 7 devices. NordVPN has been the champion here allowing up to 6 concurrent connections. 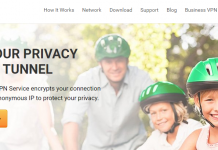 CyberGhost’s 7 connections make the VPN service most appealing and an excellent feature for a family set up. $2.75/m for a 3-year subscription. New CyberGhost special offer makes the VPN service affordable even to those on a small budget. There’s the new special offer for the first year for $2.75/month meaning you only need to pay $33 to get their annual subscription. I can only compare this feature to an analogy where the Lion is given wings to fly. If it refuses, it can only be a fool. While most VPNs will give you 7 or 30-days Money back guarantee, CyberGhost gives you 7- days absolutely Free Trial period so you can test the service to find out if it’s the kind of VPN you would like before committing. You also get 30-days money back guarantee and so you can test the CyberGhost VPN service risk-free. And So I choose CyberGhost as the first among the best VPNs for Russia. Hence, if you want to unblock websites, torrent, or stream sports, you can sign up with CyberGhost and test to see how it performs. I normally advise that before you sign up for a VPN service, you need to find out its location. Some locations such as Russia, US, UK, and China exercise massive surveillance. Some are members of the FIVE EYES Alliance. Yes, members of the UKUSA Agreement, a multilateral treaty that allows member countries to share intelligence with the sole agenda of spying on you. I also hope you’ve heard about metadata laws? 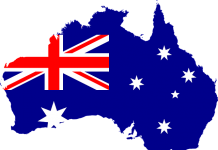 Australia is notorious and leads many more countries on this front. In Romania, CyberGhost’s location, data retention laws were ruled unconstitutional. Hence it’s an excellent privacy location for a VPN service. CyberGhost is strictly no logs VPN service. Meaning that even if CyberGhost were to be pressured to release your traffic logs, they wouldn’t have any to give. Interestingly, CyberGhost releases transparency reports where they publish any requests from third parties requesting information on its users. The VPN service uses Robust AES 256-bit encryption to secure your online data with 2048 RSA key, and SHA-256 for authentication purposes. You also get NAT Firewall, protection from DNS and IP leaks, and an inbuilt Internet Kill Switch. CyberGhost works with all major platforms, and it’s easy to use. In my speed tests, CyberGhost speeds were excellent for both the upload and download. It also has a broad network of more than 1300 servers spread in over 60 countries worldwide and allows P2P. NordVPN is an all-around excellent VPN service that you can always use for any privacy situation. I highly recommend it and place it as the second on my list of the best VPNs for Russia. 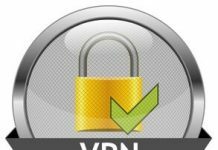 The VPN has an easy to use VPN client and supports Windows, Android, MacOS, and iOS. Furthermore, all the platforms come with the necessary configurations that make it easy even for the novice to download and install. Nord allows you to connect up to 6 devices simultaneously with a single account. That’s excellent where you have several devices or in a family situation where several devices are used contemporaneously. Impressive servers in more than 62 countries across the globe. Having such wide server locations is excellent at unblocking content as well as streaming with speeds. You need to connect to the nearest server to get fast speeds. NordVPN provides specialized servers to make it much easier for you to get the optimum servers for your circumstance. On that note, you get dedicated servers for Fast TV, Tor, anti-DDoS, Double VPN, Torrenting and P2P File sharing, and for standard VPN. Base in Panama is excellent for privacy purposes. It means no fear of government spying, and also away from the notorious 5 Eyes Alliance members. No logging of your traffic is another excellent NordVPN feature. Not even connection metadata is kept which when coupled with the Panama location guarantees your privacy. Security wise NordVPN stays pretty with 256-bit encryption, Double VPN, and NAT Firewall for increased anonymity. 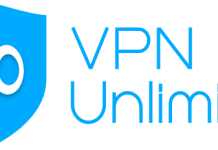 The VPN provides DNS/IPv6 leak protection, and the all-important Internet Kill Switch to ensure your real IP is protected from unwanted third parties should your VPN connection fall. A feature that increases your security as well as privacy. Ok, when you connect to the NordVPN server, the VPN routes your traffic through the Tor Network. As usual with Tor, packets of your traffic data get routed through several Tor hops before they reach your desired destination. An invaluable NordVPN feature that helps you to bypass geo-blocks. It’s helpful for streaming services like Netflix, Hulu, BBC iPlayer, Amazon Prime, Telemundo, NBC Sports, and many others. 3. ExpressVPN – Unblock streaming services and Watch your Content at fast speeds in HD Quality. ExpressVPN is a top Russia VPN with blazing fast speeds. In fact, it’s among the best VPNs for streaming and my number one choice as the best VPN for torrenting and file sharing. I like the base in the British Virgin Islands, call it “offshore protection.” Means no spying, and away from the NSA sphere of influence. ExpressVPN is strictly a no logs VPN. Combine the offshore location and a strictly no logs policy, and you get a VPN that guarantees your privacy. ExpressVPN has an extensive network of more than 2000 servers that spread to over 94 countries worldwide. Such kind of server network makes ExpressVPN most ideal for streaming sports, movies and also torrenting. 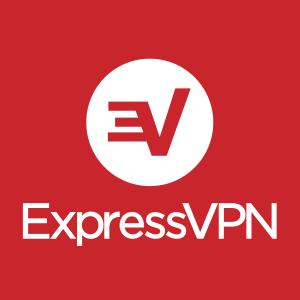 The ExpressVPN Apps are available on Windows, Android, Linux, MacOS, iOS, and Routers. It is highly user-friendly. And, you also get 5- star rated customer support. Incredible speeds and unlimited bandwidth is what you get when you subscribe to ExpressVPN. Your data is protected by the use of the military grade 256-bit encryption. You also benefit from inbuilt Internet Kill Switch, DNS/IPv6 leak protection, as well as Split Tunneling. 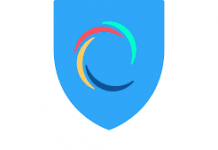 TorGuard is another stellar Russia VPN service that comes with 10mb free private email. The TorGuard email is an excellent tool for encrypting all your essential emails to prevent MITM attacks, provides you with two-factor authentication, and Perfect Forward Secrecy. Perfect location in the Nevis, West Indies thus no need to get afraid of Government surveillance. TorGuard is cross-platform compatible and works with Windows, Linux, MacOS, iOS, and Android. They also provide proxy extensions for Firefox, and Chrome as well as Router setup tool for Windows, Linux, and Mac. The VPN does not keep user logs. Meaning no future reference can be made in your past online activities. That’s excellent where privacy is concerned. TorGuard allows simultaneous connections of up to 5 devices which is great. TorGuard Stealth VPN is invaluable at bypassing Deep Packet Inspection (DPI) Firewalls. The stealth technology elevates TorGuard to be among the few VPN services that can circumvent the Notorious Great Firewall of China, and indeed makes the Russian censorship a child’s play. The Stealth VPN unlike your VPN traffic which can be filtered or blocked appears as ordinary HTTP traffic which is virtually impossible to filter and block. 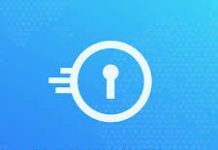 Stealth VPN also employs enhanced encryption protocols making it hard to break thus increasing your online security as well as privacy. If you are searching for a brilliant Russia VPN service that operates 100% without indulging third parties, then VyprVPN is your kind of VPN. They own all their hardware and run their network. If you think they have a small network of servers, you are wrong. VyprVPN owns and manages more than 700 servers in more than 70 worldwide locations. First, you get what I call end-to-end protection. And secondly, the fastest speed possible. Switzerland, where VyprVPN has its base, is arguably the best privacy VPN location. In the country, the right to privacy is guaranteed under Article 13 of the Swiss Federal Constitution. Your online privacy is protected by the Swiss Federal Act on Data Protection (DPA) and the Ordinance to the Federal Data Protection Act ( DPO). VPN apps for all devices: You can download VPN for Windows, as well as VPN for Mac. You can also protect your mobile devices with VPN for Android, and VPN for iOS. VyprVPN provides you with the Chameleon protocol that uses unmodified OpenVPN 256-bit encryption protocol. It scrambles OpenVPN metadata to evade Deep Packet Inspection (DPI). That way, your traffic is not identified as a VPN connection, and so it is invaluable in countries like Russia, and China where users are being blocked. The VPN continuously exhibits excellent speeds and latency in my various tests. More on TorGuard. The best way of bypassing the Russian telegram ban is to use one of the best VPNs for Russia. A VPN encrypts your packets of data so that the Roskomnadzor cannot see that you are connecting to Telegram. Ban or no ban, Telegram is no that secure as it purports. There have been claims by Cryptography experts to the effect that Telegrams MTProto encryption is vulnerable to bugs. Why should Telegram use a less secure encryption scheme while more secure ones exist? Hence, to secure the privacy of your communication, you’d instead use Telegram with a VPN. If you reside or are traveling to Russia, you can arm yourself with one of the best VPNs for Russia. That way, you’ll outwit the ever increasing Russian internet censorship agenda. Once more, I share the links to the 5 best VPNs for Russia.